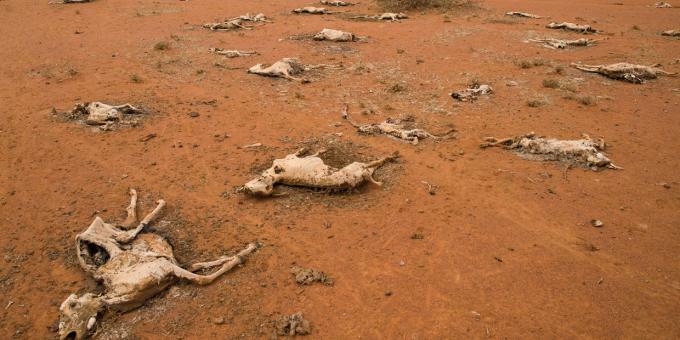 The face of drought in Wajir County, in Kenya’s north, is ugly. The land is bare and expansive, multiple whirlwinds sweeping across every now and then, which local myths call ‘the devil’. 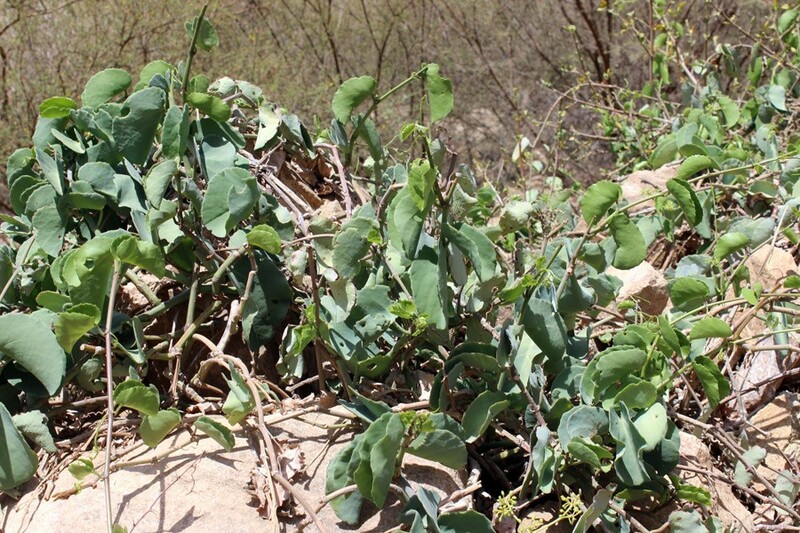 It is scrawny animals feeding on what seems like invisible grass on the ground or camels browsing on thorny remains of what used to be green leafy bushes. Masses of evidently emaciated livestock hurdling to quench their thirst around water points, after hours-long treks in search of the same. Women will wait patiently in line to fill their jerry cans to take back home. Families have become increasingly vulnerable. 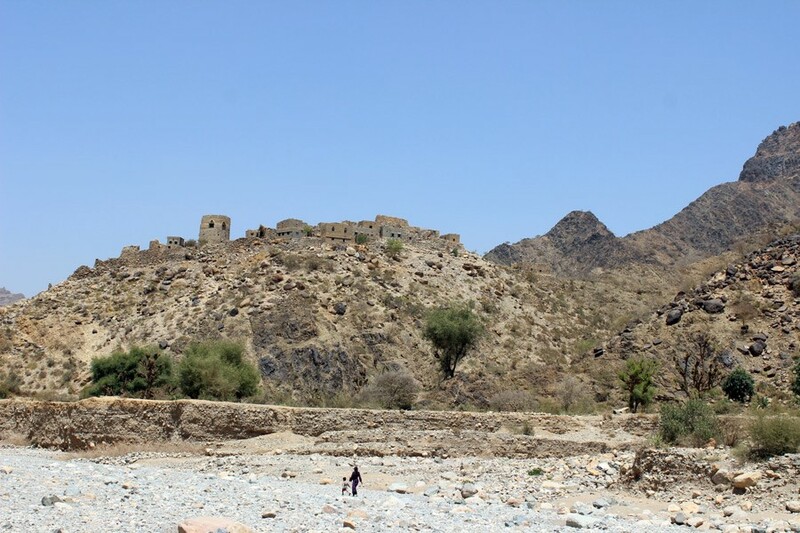 Men are struggling to provide for their families, their faces are sad and strained as they stare into the unknown future, while the eyes of women and children dart about in hope whenever ‘visitors’ drop by their villages. In July, an assessment of the drought crisis in the country revealed that 3.4 million people in Kenya are now severely hungry and need urgent food assistance. Of these, 800,000 were projected to be in a more serious food situation by September. “I used to buy my children milk but I can’t afford it any more because business is really down. The livestock owners who used to be my customers have migrated with the little livestock they have left,” said Rukia, a widow and a mother of 5 children who runs a small business in Dambas village. 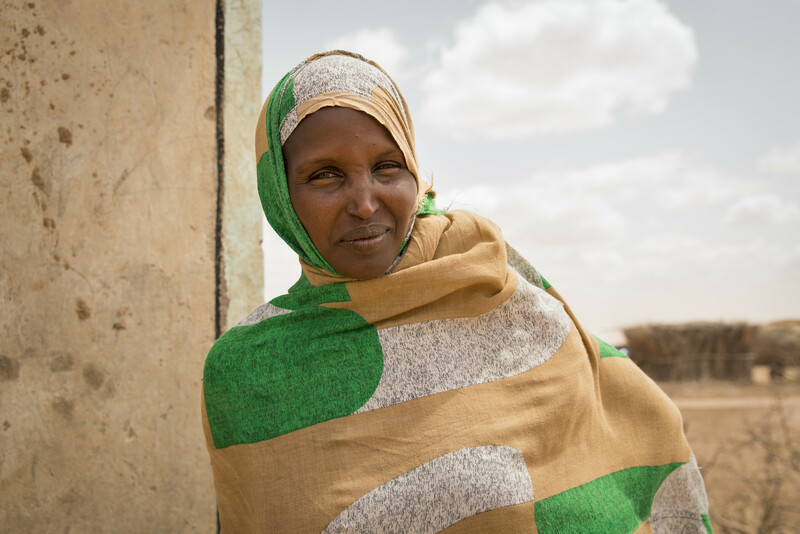 Oxfam – supported by ECHO, the humanitarian arm of the European Union– is providing cash assistance for food, water and other essentials to 3,000 families in parts of Wajir. This assistance complements that of the Kenyan government through the National Drought Management Authority (NDMA), which is now helping over 54,000 families with similar aid. But really this is only a drop in the ocean given the fast deteriorating situation. Despite offering a reprieve, this aid does not come without its fair share of challenges. Oxfam has spoken with families who have been forced to share part of their monthly cash assistance of KES 2,700 (€25/£23) with those in their communities not directly targeted by the programme, yet are in critical need of help. This is a strong indication that even those that were thought to be less vulnerable have also lost the little muscle they had to deal with the effects of the drought. “We are illiterate and vulnerable, if we raise complaints we might not get our cash,’’ said Kasim Makala, 46-year-old mother of eight, who has previously received similar help. While we must recognise the efforts of those who are responding to the crisis, there is certainly more that should be done now to ensure that affected communities get the help they need. More resources are urgently required to reach the rising scale of need. Everyone must play their part. Local, national and international actors must complement the efforts being undertaken by the Kenyan government and humanitarian agencies and ensure that affected communities are able to cope with the effects of the prolonged drought. Across East Africa, Yemen and north-east Nigeria, some 30 million people are experiencing alarming hunger, surviving only on what they can find to eat. Famine is already likely happening in parts of northern Nigeria, while Yemen and Somalia are on the brink. 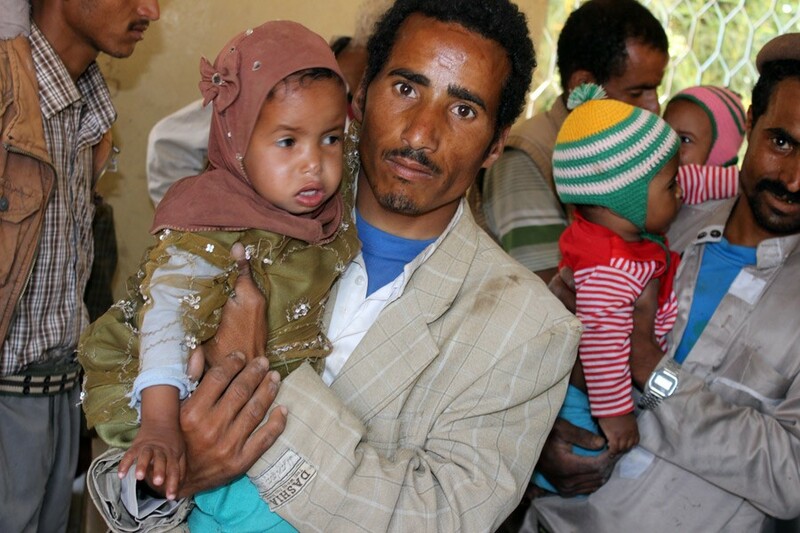 This is the largest hunger emergency in the world. · Constructing showers and toilets for those who have been forced to flee their homes. People in the Dominican Republic and Haiti are facing the aftermath of Hurricane Irma which caused widespread damage overnight. Oxfam teams will immediately assess the needs of the most vulnerable people in the heaviest-hit areas, mainly in the north of both countries. Oxfam teams reported heavy rain and flooding in Ouanaminthe district and in Fort Liberte city at the Dominican Republic border, and a broken bridge at the Massacre River which links the country with Haiti. Thousands of houses have been damaged in the Dominican Republic and people displaced. Escamilla continued: “Our main concern remains how much damage Irma’s rains and flooding have caused to sanitation and water infrastructure. We’ve heard that there is flooding up to a metre high in poor neighbourhoods here in Haiti. Oxfam teams in Cap Haitien, Ouanaminthe and Gonaive, in the northern part of the country, have stock ready to go to prevent the spread of cholera. Irma is now moving north and will severely impact Turks and Caicos and the Bahamas. Oxfam is continuing to monitor the progress of Hurricane Jose closely following behind, which threatens even more damage, including to islands already wrecked by Irma. A third hurricane – Katia – is forming to threaten Veracruz in Mexico. Oxfam is also prepared to assess and respond there with essential supplies and emergency aid. “Oxfam is deeply concerned about the plight of more than 160,000 civilians who have crossed the border into Bangladesh, and countless others caught up in the conflict in Rakhine State, Myanmar resulting in a large-scale humanitarian crisis. Every day, thousands of people are taking the dangerous journey across the border, and due to access restrictions in northern Rakhine, it is unknown how many more are missing or trapped. “Women, children, older people and persons with disabilities are among those taking shelter in the two South-Eastern districts of Cox’s Bazaar and the Bandarban. They are facing extreme difficulties with many living without protection and under open skies. 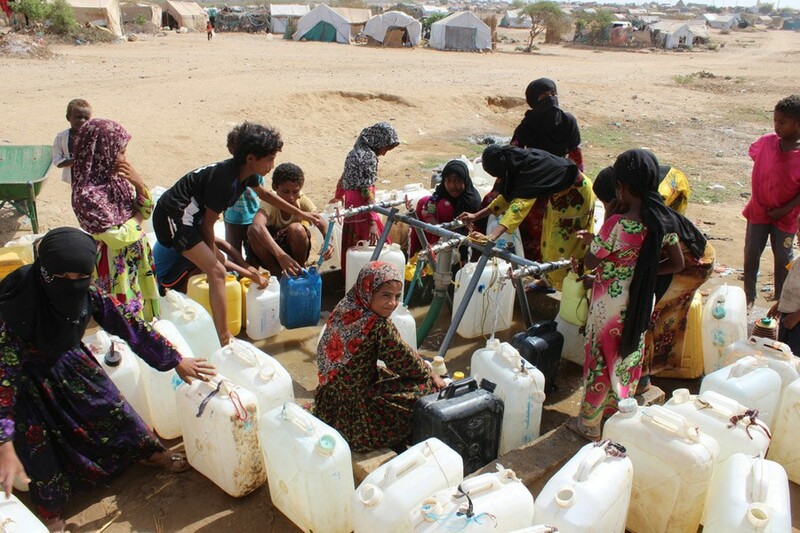 They have little or no access to clean drinking water, food supplies, sanitation facilities, and other basic needs. A significant number were wounded while crossing the border, are physically and emotionally traumatised, and are in urgent need of life-saving humanitarian assistance. “In Myanmar, humanitarian operations in Rakhine State have been severely disrupted through administrative restrictions, security constraints, and heightened tensions. While ongoing humanitarian operations for displaced people in Central Rakhine are now resuming, humanitarian access for people affected by conflict in northern Rakhine is severely restricted. “In Bangladesh, Oxfam has started to respond to the immediate needs of the people fleeing conflict by working with the International Organisation for Migration (IOM). We are providing containers for clean drinking water, portable toilets and sanitation facilities, plastic sheets, and other essential Non-Food Items (NFIs). “Oxfam calls on all authorities to guarantee humanitarian access to all civilians and ensure their protection from ongoing conflict. There is an urgent need to scale up humanitarian assistance for the people. “We recognise the efforts of the Bangladesh government in providing access for the people fleeing the conflict in Myanmar and responding to the urgent humanitarians needs. We urge the Bangladesh government to extend free and unimpeded access to all humanitarian agencies willing and able to deliver essential life-saving assistance to Cox' Bazaar and Bandarban districts. “In Myanmar, Oxfam is ready to provide life-saving relief to people, and we call on the authorities to guarantee the safety and security of humanitarian workers and for an immediate cessation of violence and conflict. Many supermarket shelves in northern Haiti are now empty and people in coastal areas are being evacuated inland to schools and public buildings in preparation for the worst of Hurricane Irma today and tomorrow. In Cap Haitien, Haiti’s second city with a population of 280,000, Oxfam’s 27-person team is urgently working with authorities to assist the evacuation. The government has prepared 793 temporary shelters across seven departments and, together with Oxfam and other agencies, is trying to move as many people away from the coast. Tania Escamilla, Regional Communications Coordinator with Oxfam who arrived in Cap Haitien on Wednesday, said: “I get the sense that people here are used to hurricanes and no-one seems frantically scared, but I’ve heard from many that some areas of the country haven’t even fully recovered from Hurricane Matthew last year – and now they’re facing this. Escamilla continued: ““Overall, we fear that half-a-million people could be affected even in the best-case scenario – or as many as 3 million in the worst. “My engineering and humanitarian colleagues tell me that although cholera cases are considered low and under control at the moment, the disease remains their biggest concern should the storm wreck infrastructure. In Haiti, Oxfam has moved emergency aid into five locations across the country, three of which are in northern areas that will be the most exposed to the hurricane’s impact. Already four teams, made up of five or more specialists in emergencies, have been mobilised in Cap-Haitien, Ouanaminthe, Anse-Rouge and Gonaives. Oxfam also has nine cholera response teams now ready to deploy. Oxfam teams in Dominican Republic and Cuba are also preparing to respond. Oxfam has worked in the Caribbean region for over 30 years and has expert teams in providing safe water and carrying out sanitation and hygiene work to prevent the spread of deadly diseases among those most vulnerable when an emergency strikes.